At the request of the United States Department of Defense, the members of the Open Halls Project Working Group have written a Heathen Resource Guide for Chaplains. 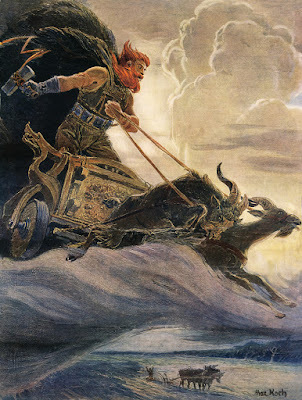 As part of The Norse Mythology Blog's continuing series on Heathens in the Military, this article includes background on the important event and provides the full text of the document, which has now been accepted by the Department of Defense. In 2013, I interviewed Josh and Cat Heath, co-founders of the Open Halls Project, an organization “set up to connect military heathens with civilian and military heathens throughout the world.” Part of our discussion was on the struggle to have Ásatrú and Heathenry added as options on the U.S. Army's religious preference list. Followers of the Old Way in the military have had a couple of important victories since then. 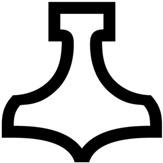 Thor's hammer was added to the official list of “available emblems of belief for placement on government headstones and markers” by the U.S. Department of Veterans Affairs. Ásatrú and Heathenism were added to the religious preference list of the U.S. Air Force. Heathens in the Army have not fared so well. On January 5, 2015, Chaplain (Colonel) Bryan Walker, Personnel Director at the Army’s Office of the Chief of Chaplains, wrote to a Heathen serviceman that the addition of Ásatrú and Heathenry to that branch's religious preference list had been approved. It had not. After the announcement of the addition, Chaplain Walker backtracked and stated that he had "mis-communicated." As of March of last year, the status of Heathen soldiers remained in limbo. In May, those of us in the Open Halls Project Working Group issued a public call to action. We asked soldiers and civilians to contact the Armed Forces Chaplains Board, Army Human Resources Command, Army Public Affairs Officer, and Chief of Army Chaplains. We asked that concerned people express their frustration with the fact that six years of requests from Heathen soldiers had passed without recognition of their lawful religious rights by the Army. Many, many people wrote. They all received form letters in reply. Over the last year, we worked to get details about our request to get Heathen and Ásatrú added to the religious preference list. The head of the Department of Defense working group focused on developing a new system for those preferences asked us to produce a document explaining the basics of Heathenry. We produced a document for him modeled on the Army Chaplain’s Handbook excerpt for Wicca. This basic framework assisted us in developing information that was generally applicable to the largest amount of Heathens possible. When we submitted this document to the chaplain who had requested it, he suggested a few changes which we inserted into the document. This document acts as a basic information sheet for any chaplain that might find himself or herself working with a Heathen service member. A working group was selected to develop the document and they put their noses to the grindstone. This work is a product of the Open Halls Project and we would appreciate it being attributed to the organization, but it may be shared freely to all who might find it useful. The Open Halls Project, through a member, has been in touch with the head of the Department of Defense working group that requested this document. This chaplain requested we do some adjustments on the document to include information on books that would be useful and on casualty care. During this conversation, the chaplain indicated there was working group interest in adding Ásatrú over Heathen. Since more of us prefer the term Heathen, it was indicated that both terms would still be preferred to be added. Overall, the working group is still moving on this issue and cannot provide a clear timeline for completion of our request, but they are highly responsive to the member who is assisting the Open Halls Project. We have been told that the Heathen Resource Guide will be disseminated to chaplains for their education and to help them assist Heathen soldiers. The central concern of the Department of Defense was to build a foundation for helping Heathen soldiers in times of crisis. Department of Defense interactions with our representative have been very positive throughout this entire process. The full Heathen Resource Guide is posted below. Given that we were limited to two pages of text, the sections are quiet succinct. The members of the working group intend this to be an introductory guide, not a definitive theology. We understand that not every Heathen will agree to every line in the text. That is completely understandable. Our goal was to create a basic document that will be useful to military chaplains as they interact with Heathens. It may also be of some use as a simple introduction to the religion for the general public. Heathens may wish to use it as they explain their religion to friends or family who are unfamiliar with the tradition. Academics and journalists writing articles about the religion might peruse the guide to get a sense of some of the core elements of the faith. Students can use it as a first source for their study of the subject. If any of the terms used below are unclear, see also the Ásatrú definitions from the Religion Stylebook of the Religion Newswriters Association by clicking here. No central address. Heathens worship in autonomous groups called kindreds or hearths. Some Heathens are affiliated with regional, national, or international organizations. 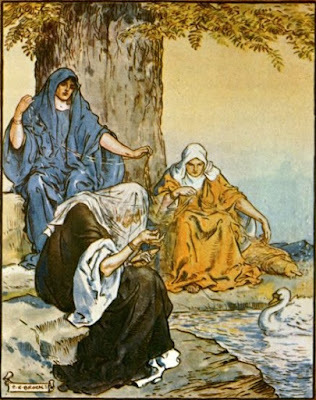 Heathen is the most common blanket term for this faith, but other terms used by some groups include: Ásatrú, Forn Sidr/Fyrnsidu, Theodism. These books are not central holy texts but do represent works that influence and explain basic Heathen concepts and are accepted as useful by a large majority of Heathens. No central leadership. Organizational bodies hold internal elections for a number of positions parallel to those in churches and fraternal organizations including religious leaders, secretaries, mentors, and various officiates. Accurate membership cannot be estimated because Heathenry does not require formal membership in an organization. Results of a 2013 survey suggest there are nearly 20,000 people in the United States who identify as Heathen and that a large percentage of those people have served, or are currently serving in the US military. The modern revival can be traced back to the early 1970s and has significantly evolved due to archaeological discoveries and re-examined historical contexts that have improved modern understanding of fundamental traditions. Some revivals occurred prior to this; however, most modern groups do not trace any connection to earlier movements or groups. 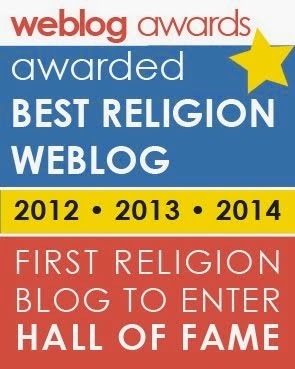 Heathenry is a polytheistic faith with a variety of holy powers. Gods such as Odin, Thor and Freyr are worshiped alongside goddesses including Frigg, Sif and Freyja. The deities are known by a variety of names from various Northern European cultures; Thor is also called Thunor (Anglo-Saxon) and Donar (German). Heathens also venerate a variety of beings known as vættir or wights. These local land-spirits inhabit the natural world and are treated with honor and respect. A wight may represent a specific natural feature (such as a river or waterfall) or a larger geographical area. House wights are believed to watch over one’s home. Heathens place great importance on the relationship with one’s ancestors. Individual and communal rituals regularly include spoken tribute to deceased forebears ranging from immediate family to ancient ancestors. Following Old Norse sources, some Heathens think of distant ancestors as as Álfar (Elves) that continue to interact with the living. Heathenry is a world-accepting religion; emphasis is placed on right action in this life rather than focus on an otherworldly afterlife. Heathens commonly assert that “we are our deeds,” meaning that the sum of one’s actions is of primary importance. They place great emphasis on personal responsibility and place significant value on how they are remembered by their family and community. Heathenry derives ethics and morals through allegory from historical texts but does not have a codified moral system or standard of conduct in the same way that Christianity and Islam do. Some Heathens use a codified list of values as a basic code of conduct similar in some ways to the Army Values – the Nine Noble Virtues: courage, truth, honor, fidelity, discipline, hospitality, self-reliance, industriousness, and perseverance. These virtues were codified by Heathens early in the modern movement and have fallen out of favor in many groups. Reciprocity is one of the central ethical standards of Heathen thought. The process of regular and consistent gifts and favors builds a solid relationship that must be maintained. In practice, as a Heathen soldier interacts with his fellow soldiers, they will become bound in a web of responsibility and respect. Heathens may be slow to make new friends when moving into new units because being careful around new people is considered a virtue. However, once they have begun to do so they will often be intensely loyal and expect the same in return. Heathens believe that doing what is best for their family and community is a high moral calling. This includes a dedication to service, both nationally and locally. Heathenry is a fundamentally family-oriented belief system, and Heathens keep close ties to their extended family and ancestors as a matter of religious belief. Heathenry is also an orthopraxic religion, depending on right action over right belief. Men and women are judged by their deeds and their word. Heathens believe their deeds affect their luck, or spiritual wealth. This luck can be transferred from generation to generation, so Heathens believe what they do will not only affect themselves, but their children, and their children for many generations. ● Yule begins around December 20 and lasts for 12 nights. It is the most important of all the festivals to many Heathens and is a celebration of deep winter breaking and the start of the new year. ● Summer Finding is celebrated in late spring, and the date may vary depending on local climate. ● Midsummer is celebrated on or near June 21. ● Winternights is generally celebrated near the end of October but may be moved to more in line with local climate. ● Day of Remembrance is celebrated frequently in line with local remembrances such as Veteran’s Day. There may also be regionally and locally celebrated festivals such as the Charming of the Plow, Eostre, Loafmas, and Winter Finding, though this is not an exclusive list. Heathen groups have various organizational structures. Some organizations have distinct top-down leadership, and others are more loose democratic associations of families and extended tribal groups. The kindred is a common model based on creation of oaths and agreements to treat members as family. Many kindreds form loose alliances with one another to create regional meetings and events. There are some Heathens that do not have a large community near them; these individuals are often in contact with others at least through social media. The leadership of an Ásatrú/Heathen group is responsible for the group’s ritual schedule, events that are attended or hosted, facilitating religious knowledge amongst its membership and its surrounding community, and mediating issues as required. There are numerous titles for these leadership positions, but some of the most common are: gođi [GO-thee] (priest), gyđja [GEE-thee-uh] (priestess), and chieftain. Often the gođi/gyđja/chieftain conducts the spiritual and administrative tasks. Heathen worship is based on the concept of reciprocal relationships. For Heathens, all relationships – be they with other humans, gods, ancestors, or wights – are reciprocal in nature. The majority of Heathen worship involves gifting, or making offerings. Typical offerings include drink, bread, items the worshiper has made or grown, or incense. Heathens offer these items to the Holy Powers in exchange for favor for themselves or others. Many Heathens refer to this type of gifting worship as blót. Another form of Heathen worship is sumbel, a ritual that strengthens both the bonds within the human community and the bonds of that community with the Holy Powers. 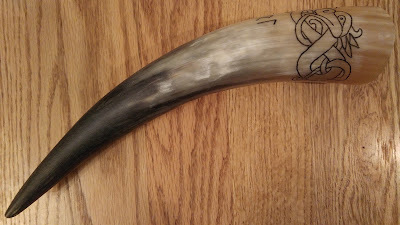 During sumbel, a horn of drink, usually mead, is typically passed around the assembled worshipers three times. Each round is dedicated to toasting and praising a group of beings; for example, the first round for the gods, the second for the ancestors, and the third for the land spirits or community. Depending on group or occasion, there may be more than three rounds in sumbel. These further rounds may be dedicated to making oaths and boasting. There is no universal Heathen liturgy, although groups and organizations may elect to create their own standard formats. In spite of this, these ritual forms are still almost always recognizable enough that Heathens from different groups and communities can worship together with ease. Individual preferences are honored. If death occurs in combat zone, refer to service member's will for further instructions. The Thor's hammer symbol, which is held as sacred by the majority of Heathens, is included among the Veterans Affairs headstone emblems. No medical restrictions. Casualty care should be developed on an individual basis. Each Heathen has a different level of appreciation and understanding of Heathenry in their own lives. Prepare probing questions for any service member receiving care to help develop an individualized plan to assist them during their recovery. I feel the Army has more acceptance for heathenry then they are letting on officially. I went to an Equal Opportunity Leader school last June for the Army, which is where I learned about heathenry, but anyway we had a speaker who practiced heathenry/ Asatru and informed us on some considerations to make for those who wish to practice heathenism. So even if it isn't officially recognized yet to me this is a bigger step to acceptance than just being recognized. Going to the course and hearing the speaker is what lead me to Asatru and lead me to believe it was recognized. 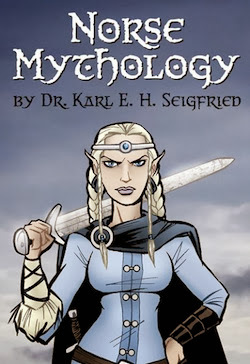 However, if anyone in the military is reading this who practices Asatru/ Heathenism, or any religion other than the Abrahamic religions and you feel you are bring discriminated because of your religious choice talk to your EOL, they will put you on contact with your battalion EOA, and they will take care if it regardless if the religion is recognized by the Army.